Mere days after Nokia enjoyed a generally warm reception to its newly announced Nokia N9, dark clouds gather again over the company as sales results show that in some markets like Australia in just the first quarter of the year the company has lost a huge portion of its market share holding only 22% of the smartphone market, according to researchers from IDC. "Nokia suffered a double whammy, the feature phone market collapsed, with 79 per cent of new mobiles shipped now being smartphones,'' IDC telecoms expert Mark Novosel said. "Symbian lost 9.5% market share Q/Q, more than double IDC's forecast decline. We expected Symbian to decline steadily throughout 2011, however the pace of decline has exceeded all expectations, with the majority of would-be Symbian buyers heading to Apple," Novosel added. The company now occupies nearly a third of the phone market. At the same time, Android sales are strong, partly thanks to Windows Phone, which has been slow to catch up in the smartphone race in Australia. 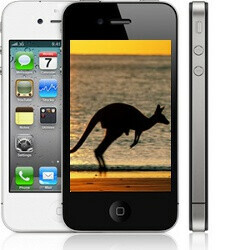 The researchers from IDC expect Android to close the gap in coming quarters as iPhone 4 sales slow down in preparation for the next-gen iPhone, while Android devices will get even more attractive prices for the holiday season. Finally, when it comes to Nokia, the company is expected to swing back to growth only in 2012.
why don't you just go to another site if you don't like the articles? maybe the iPhone will be the only phone that gets produced after 2012... yuck! In that event, PA might have to change their name to Applearena just to survive... but I don't foresee much discussion going on in that case.